This past winter, I binge watched Poh & Co. And I tried a few recipes, one was a winner for our family and it was Pressed Rice Cubes. Now, I will say that the rest of the food she made in that episode we did not enjoy. But I've made the rice cubes several times since. You can find the original recipe on her website but because there's just three of us, I make half the recipe so here it is for you. Combine rice, salt and 2 cups of water in a pot, bring to boil over medium heat. Simmer 10 minutes, cover and simmer another 10 minutes. Turn off the heat, keep the cover on, and let stand for 15 minutes. Line a sandwich size plastic container with foil (see photos below). 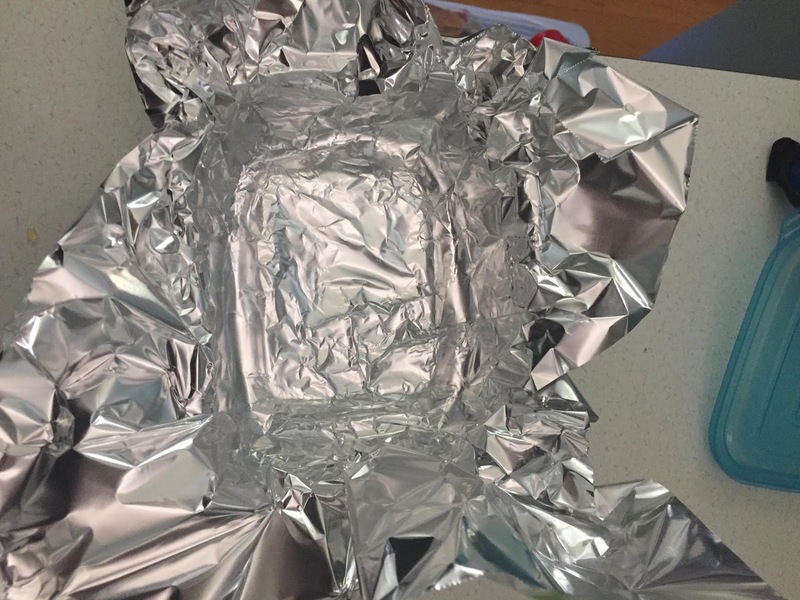 Spread the rice evenly in the container, cover with foil and then press with an oven mitt to compress the rice. Don't worry about overdoing it, you want it nice and tight. 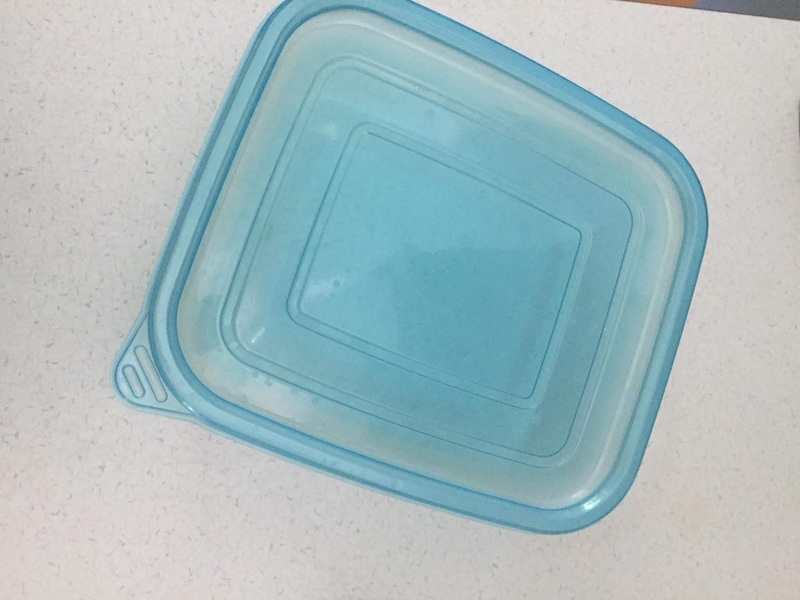 Allow rice to cool to room temperature on the counter. Once cool, cut into bite-size cubes.